The İstanbul 14th High Criminal Court on Monday handed down life sentences to 15 defendants for attempting to overthrow the Turkish government through a corruption operation against President Recep Tayyip Erdogan’s son Bilal Erdogan and some pro-government businessmen in December 2013. Former police chiefs Yakub Saygılı, Kazım Aksoy, Yasin Topçu and Nazmi Ardıç were among the convicted defendants as well as US-based Islamic cleric Fethullah Gülen, a foe of President Recep Tayyip Erdoğan. 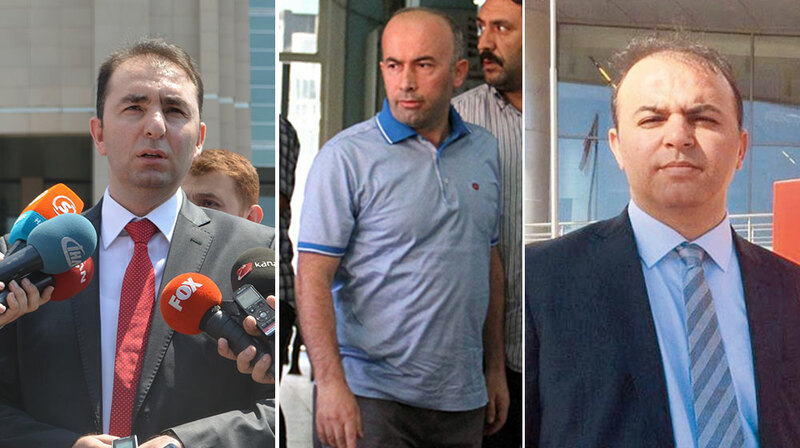 As part of the investigation into bribery and corruption the sons of three then-ministers from the ruling Justice and Development Party (AKP) were detained on Dec. 17, 2013. A week later another investigation reached then-Prime Minister Erdoğan’s son Bilal Erdoğan. The Dec. 17-25 investigations led to the resignation of four Cabinet ministers, to which Erdoğan responded by claiming that the corruption scandal was fabricated by sympathizers of the Gülen movement within the police department with the aim of overthrowing his government. Since then, hundreds of police officers have been detained and some arrested for alleged illegal activity in the course of the corruption investigation. Erdoğan’s witch hunt against the movement escalated and expanded to include many government bodies after a July 15, 2016 military coup attempt in Turkey. Erdoğan accused the Gülen movement of being behind the attempted coup and demanded the extradition of its leader, Fethullah Gülen, from the United States. The Gülen movement strongly denies the allegations brought against it. Tens of thousands of public servants, judges, prosecutors, academics and journalists have been detained for alleged links to the movement.